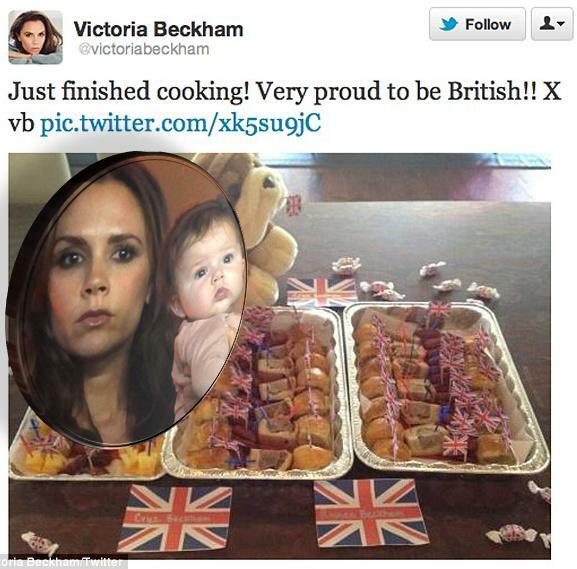 Victoria Beckham has been cooking for her sons' school to help them celebrate international food day. 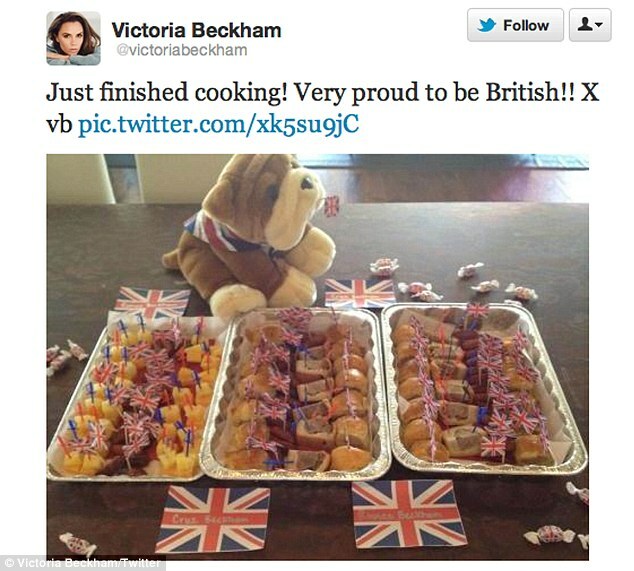 The singer-turned-fashion designer - who has four kids, Brooklyn, 12, Romeo, nine, Cruz, six, and eight-month-old Harper with husband David Beckham - helped her younger sons celebrate international food day at their Los Angeles school by serving up some traditional British fare. No doubt David was impressed by his wife's selection of British snacks - which included sausage rolls and cheese and pineapple on sticks - as it has previously been revealed he frequently visits a specialist shop in Los Angeles to get the UK treats he misses. One fellow shopper who saw him splurge over $325 on items including HP Sauce, Cadbury's Flakes and Mr Kipling Cake Bars said: ''This is where I always come when I feel homesick. I stock up on beans and brown sauce and Cadbury's bars for snacks. David took his three sons to the store, and despite having been brought up in Spain and the US, they seemed keen to get traditional British goods.